We have three fabulous blog posts for you all, being delivered today and next Sunday 11th march. The subject is all about how to get yourselves published in magazines. First up we have Tanya, editor and all round style guru of the most fantastic online magazine "tickle the imagination" Tickle is a new, independent e-mag, celebrating the handmade and creative community in Australia. 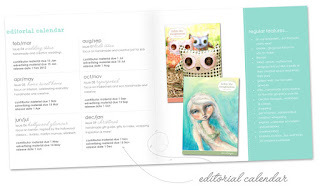 Released bi-monthly, tickle the imagination aims to inspire creativity, showcasing talented artists, crafters and designers, discovering emerging talent and sharing real-life stories and diy projects. After Tanya, we have Thea from Thea and Sami, Thea designs and hand prints natural and organic fabrics in her studio in Brisbane, Australia. 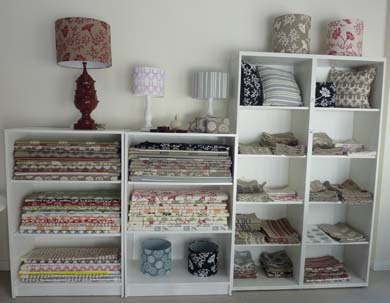 She also creates fabulous homewares, including a limited edition range of quality linen homeware and accessories. 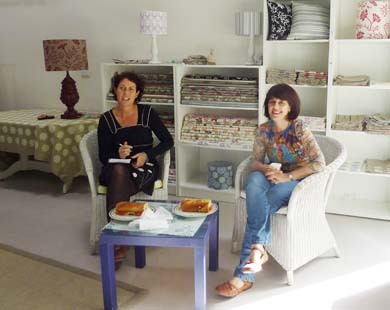 Thea has recently been published in Home Beautiful and has written about the experience. Getting featured in a magazine is a fantastic way to introduce your business to a new audience, and also gives you a nice little confidence boost. 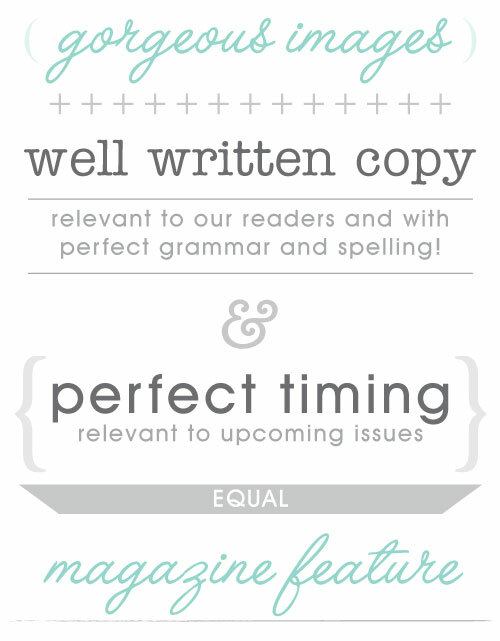 It can be daunting approaching a magazine the first time... but don't let that stop you. Editors are just people too, so don't be scared to submit an idea...the worst thing that can happen is that you receive a 'no thank you'. And if you don't get it quite right the first time...try again! 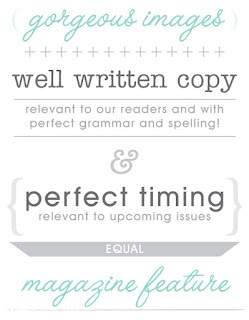 It may sound a little obvious, but magazines look for content that will appeal to their readers. Every magazine is different and has its own unique audience. For tickle the imagination it’s Australian women aged 25-45 who are lovers of handmade and/or own a small creative business. It makes sense to find a magazine that has a similar target audience to your own. 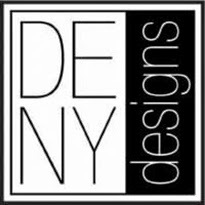 You understand their interests, your products will appeal to them and you therefore stand a much better chance of having your product or business featured. If you have an idea for an article or feature, don’t be shy, email the editor. Try to find the name of the person you will be submitting your idea to, it’s nice to address the email personally. Look for submission information on the magazine's website. If it's not there, simply email and ask for their submission guidelines or media kit. Before clicking send make sure that double check the content (grammar and spelling) and that you attach or embed images that support your pitch. Most magazines will have an editorial calendar outlining their themes or topics and deadlines for upcoming issues. If their next issue is all about interiors then it's the perfect time to introduce your new range of hand printed wallpaper or pitch your idea for a cushion tutorial! Keep in mind that magazines work a few months ahead of their next issue, so take note of their deadlines before preparing a submission. Blatant advertising in your submission will generally result in your article being overlooked. Being a creative magazine, our focus is gorgeous images. We love crisp, clear photographs that show-off your creations in their best light! · I have always found natural light work best for me... try taking your photo shoot outside or in a room that is filled with natural light. Direct sunlight will result in harsh shadows and/or glare on your product so overcast days are best. Afternoon light is said to have a better colour than early morning light (Although this might depend on your location!). You want a soft, even light with minimal shadows. 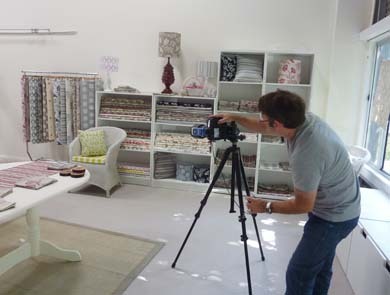 · try photographing your product from different angles, but be careful not to distort the perspective. If you haven’t heard back within a week, it is perfectly fine to send through a quick email to check your email was received and if any further information is required. Hello, I'm Thea Samios from Thea & Sami. 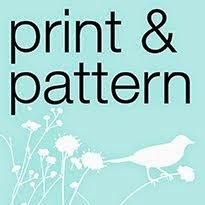 I design and hand screen-print natural fabrics and homewares in our own studio in Brisbane. We sell our range at boutiques all around Australia and through our on-line store and in studio. Recently, I was fortunate enough to be featured in the January issue of Home Beautiful, one of my favourite magazines. Bronwyn McNulty, was the the freelance journalist who interviewed me. She found my blog after doing a Google search for 'textile designer'. So yes, it does pay to be consistent with blogging. As the article was part of the monthly 'Inspire - Creative Journey' series, the magazine was looking for a artisan in their studio/work space. The editor had to approve me as the subject and did so on the merit of the studio photos that I placed on my blog. So don't think that it doesn't matter if you don't have clear photography. Many journalists as well as retailers are trawling the blogs and Facebook looking for new and exciting products. It will pay you to learn some photo editing skills. It's rare for me not to touch up my photos at least a little in Photoshop. The photo shoot and interview took place in my studio 7 months before the article was actually published! I was very nervous about having my photo taken but the photographer was nice enough to allow me to veto any images that I did not like and submitted a nice collection for the editor to choose from. It was definitely worth it as I had a surge of new customer orders and wholesale enquiries once the magazine came out. The orders have tapered off a bit now as people are always reading the latest magazine. It probably pays to try and have continued media exposure and I am now using a professional photographer for our product shoots so will be submitting those images to the media contacts that I have made. Tanya will be able to tell you more about what magazines are looking for. Personally, I have always been contacted by media, but be aware that they will often ask for high-resolution images at a day's notice so always try to have high quality images ready to go. You will lose out if you don't have them. Next week we are continuing on with the advice about how to get published in magazines. We have guest blogger Heidi from Giddy kipper joining us. Not only has Heidi been featured in loads of magazines in the U.K, she has also been extremely busy interviewing some editors of U.K publications on our behalf, to give her blog post that extra va va vooooom!!! Can't wait to read it Heidi! Have a lovely week everyone and don't forget the BIG Cheeky Pickle FB Market night next Sunday 11th March, 8pm. Lot's of my designs will be available to buy including originals and printed work. Great article ~ thanks ladies! great advice and I love those fabrics! Thanks a lot, Ladies!